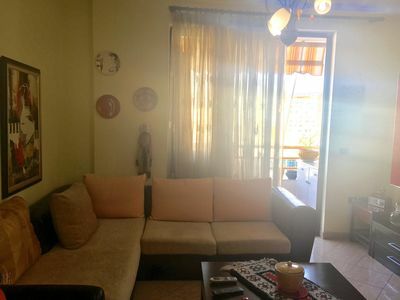 A cozy & spacious 2 BD. 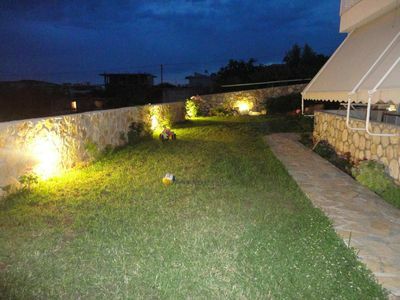 flat, on the 6th floor offering a breathtaking panoramic view, at the center of the city! 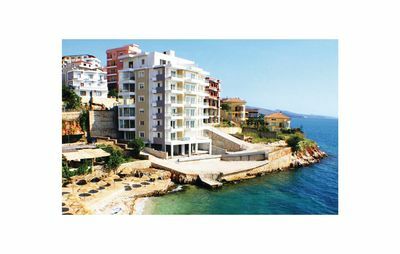 A smart choice for business travelers, individuals, couples and friends looking for an authentic stay in the coastal town of Sarande! 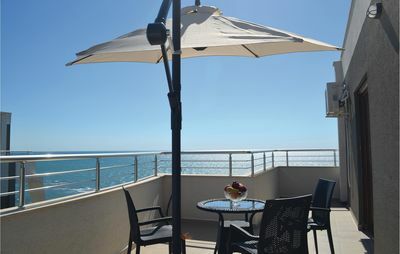 Our flat has fast Wi-Fi, A/C, is fully equipped, newly furnished and maintained with love. 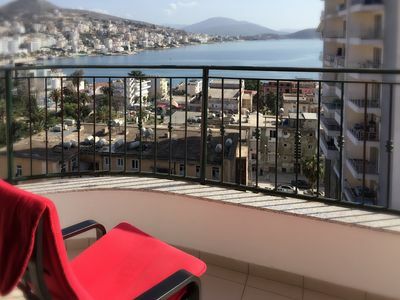 A spacious 2 bedroom apartment, on the 6th floor with a lovely balcony and panoramic view, at center of Sarande. 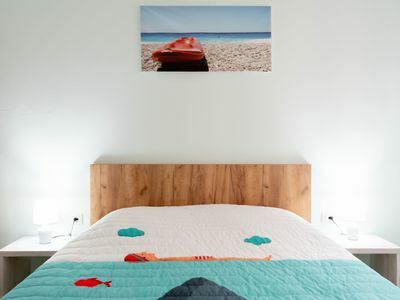 Our flat offers everything that a business traveler, individual, couples, friends and small families may need, looking for an authentic and lively stay. This cosy 90 sq.m. flat is well and efficiently designed, with plenty of natural light. 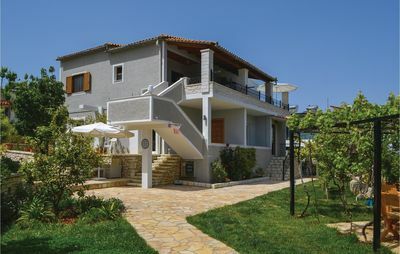 There are two bedrooms, an open living room space/kitchen, a bathroom, and a small balcony. Between the bedroom and the living room/kitchen open space, there is a warm and comfortable super clean and equipped bathroom with a bathtub. It is fully equipped and with all the amenities you may need, such as soap, shampoo and toilet paper. We offer fresh and clean towels for the duration of your stay. The living room and kitchen space is lovely and modernly furnished, which also gives access to the front balcny. A comfortable sofa, on which turns into an extra person can sleep, a sofa table and a flat LCD- TV are available in the room. In the middle of the open space, there is a table with 4 chairs, dividing the room. The fully furnished and accessorized kitchen, includes a big Washing Machine, coffee machines , electric cook-top, fridge/freezer, toaster, kettle, a variety of pans and pots, dishes, glasses and utensils. Everything you may need in order to prepare the breakfast or meals of your choice. And of course, you won't miss the basics: salt, pepper, spices, coffee, tea and coffee cream. Once you have entered this place, you will immediately feel the love and care of the owner. You will feel like home, a place you will want to return after a day spent visiting Sarandes´ major points of interest or after a tiring working day in order to rest and relax. Please feel free to inquire and ask us anything you need to know about our place or location. We would be more than glad to reply to any of your questions. There is nothing that you will miss during your stay in our flat. 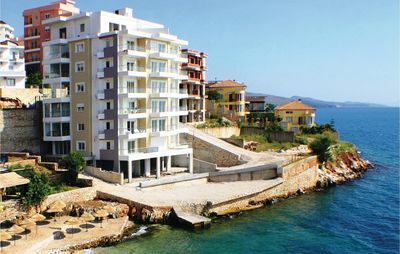 At a distance of 50 meters you will find a supermarket, banks, various stores, oven, hospital and a pharmacy, bus stops. 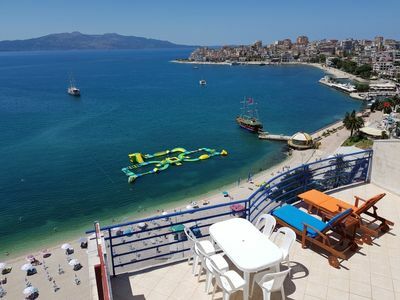 Sarande is known for its blue deep waters of the Mediterranean. Near Sarandë are the remains of the ancient city of Butrint, a UNESCO World Heritage site. 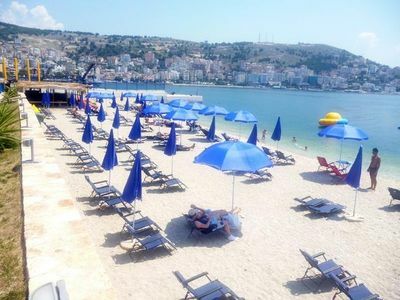 Visitors are attracted both by the natural beauty of Saranda and its archaeological attractions.